Born in the family of musicians Alexander began his studies under the guidance of his father. After successful appearances at the regional competitions he was accepted to the Special Music School at the Novosibirsk State conservatory (Prof. M.Liberman’s class). Later he graduated from the Moscow Tchaikovsky conservatory where he studied with Prof. Irina Bochkova. Prize-winner of several International competitions: “Premio Paganini” in Genova, “Centre d’Arts” (Orford, Canada), “F.Schubert and 20th Century Music” (Graz, Austria), “Tchaikovsky competition” (Moscow). Alexander Trostiansky performed in more then 90 cities of Russia, in over 30 countries. Trostiansky appeared as a soloist in Great Halls of the Moscow Conservatory and St.Petersburg Philharmonic, Concert-en Congresgebouw de Doelen, Jurriaanse Zaal (Rotterdam, Holland), Linbury Studio Theatre, Covent Garden (London), Mozarteum (Salzburg), Goetheanum (Dornach, Switzerland), Kravis Performing Arts Center (West Palm Beach), Schoenberg Hall (Los Angeles), Herbst Theatre (San-Francisco), Weill Hall at Carnegie Hall (New York). He participated in “Moscow Autumn”, “Musik im Michel”, “December Evenings by S.Richter”, “Oleg Kagan Musikfest” (Kreuth), Y.Bashmet’s festivals (Yaroslavl and Minsk) and many others. Alexander is a regular recording artist. He recorded with “Melodia”, “Vista Vera”, “Chandos”, “Dowani”, “Egan Records”, “Naxos”, “ECM Records” labels, for Radio-1-Russia and “Orpheus-Radio”. 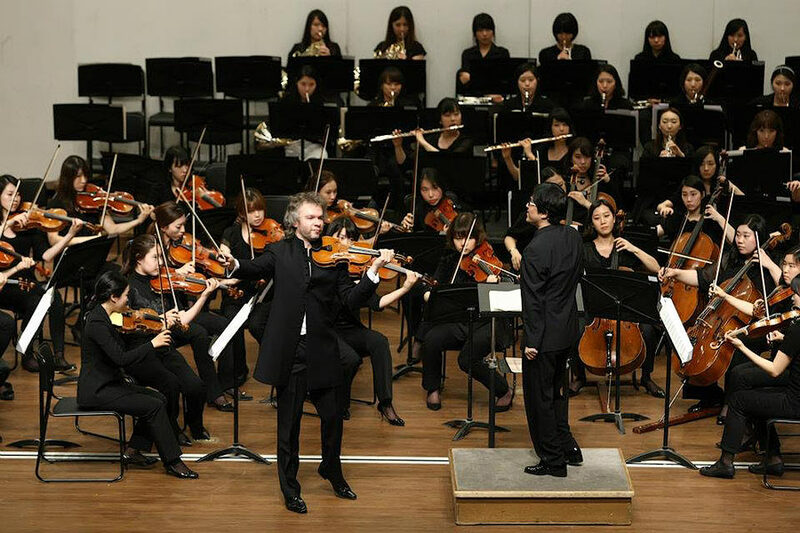 His wide repertoire includes over sixty violin concertos, a lot of chamber music and music of 20th century. Some of modern Russian composers dedicated to him their works. Amongst many other programs Trostiansky rendered Paganini’s “24 capriccios” at once. In 2007 Trostiansky has been given “The Honoured Artist of Russia” title. His stage partners were such musicians as A.Lubimov, A.Rudin, N.Gutman, E.Virsaladze, V.Kholodenko, A.Melnikov, A.Bouzlov, D.Shapovalov. 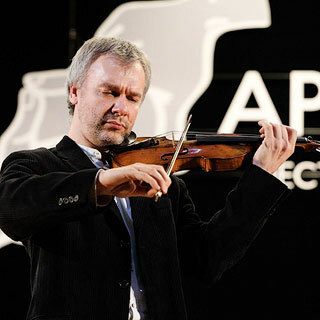 Mr. Trostiansky is the pupil of the famous Siberian Violin school (M.Vengerov, V.Repin). He was lucky to study with successors of two branches of Russian violin school: David Oistrakh’s and Yury Yankelevich’s ones. In his practice he combines knowledges and skills of both ones. 1999 – present: he serves as a Professor of Violin at the Moscow State conservatory. 2002 – It was offered to him to teach also at the Historical and Contemporary Performance Department of the conservatory. He collaborates with foundations supporting young talents: “New Names”, “Muses School”, works as the Jury Member of various competitions. He also teaches master classes in France, Portugal, Great Britain, Italy, Spain, Kazakhstan, Canada, South Korea and over Russia. David Denton, The Strad, England. Claude Gingras, La Presse, Montreal, Canada. Jan Biles, “Journal-World”, Lawrence, USA. Trostiansky’s playing could be characterized as “masterly”. The violinist astounds by his musical inventiveness and riches of sounds palette.